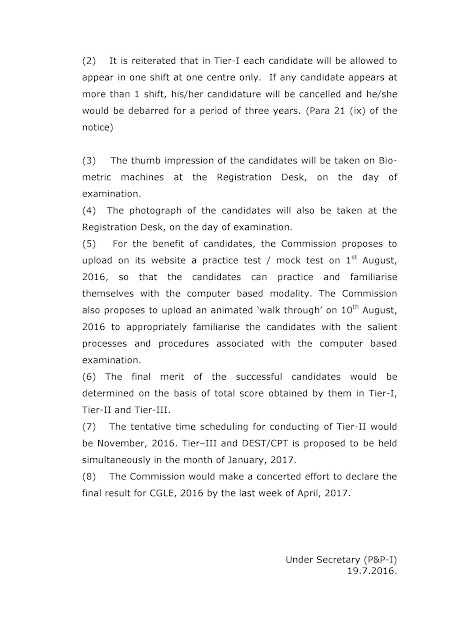 Today SSC has issued an official notice on new pattern of SSC CGL 2016. You can download the same from the link provided below. 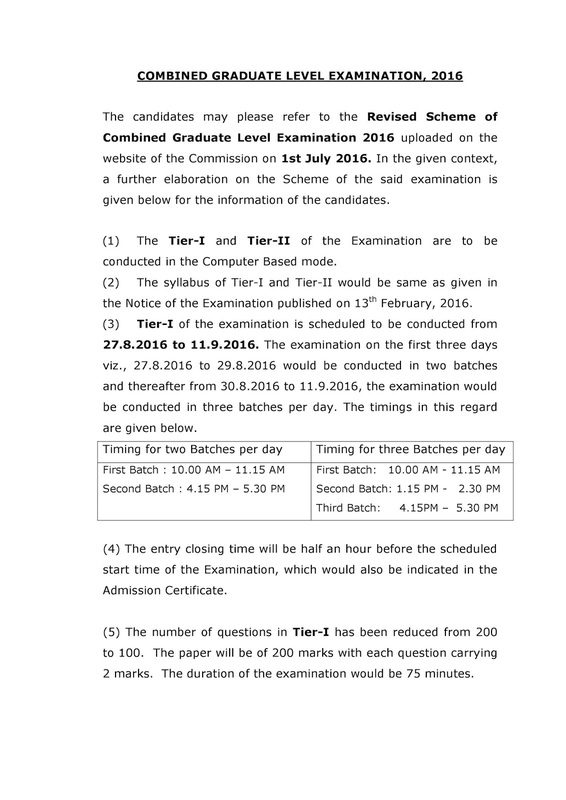 1) Tier-I of the examination is scheduled to be conducted from 27.8.2016 to 11.9.2016. 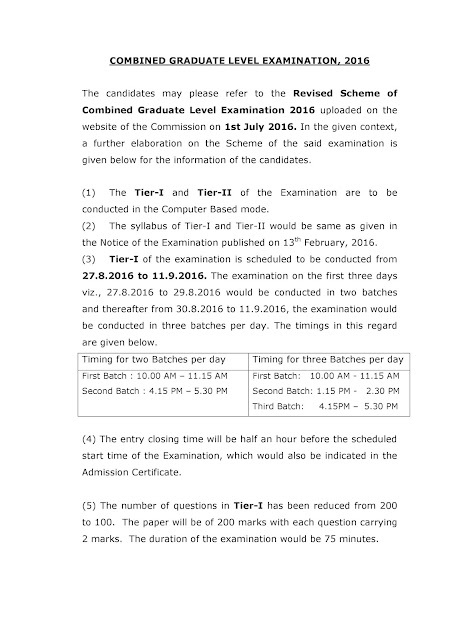 The examination on the first three days viz., 27.8.2016 to 29.8.2016 would be conducted in two batches and thereafter from 30.8.2016 to 11.9.2016, the examination would be conducted in three batches per day. The timings in this regard are given below. 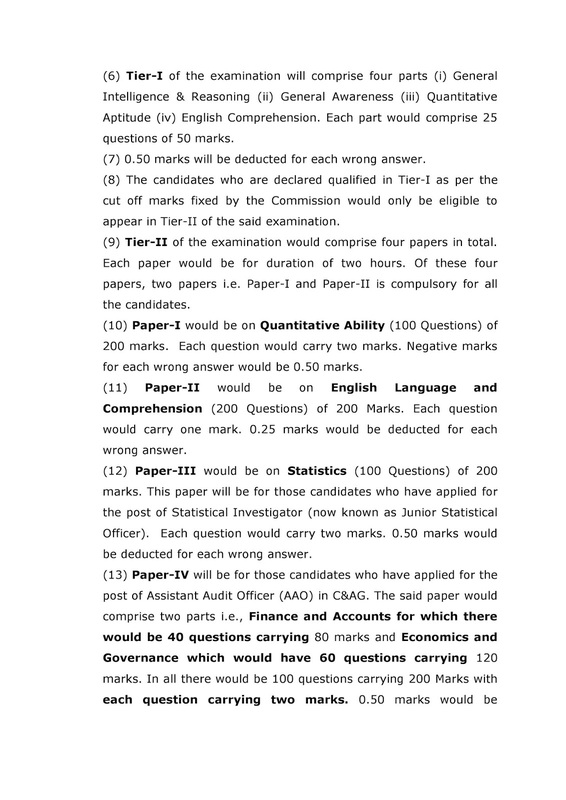 2) An additional stage of Examination, i.e. Tier-III, has been introduced w.e.f. CGLE, 2016 which would be a descriptive type paper of 100 marks in Pen and Paper mode. The duration of the paper would be one hour. 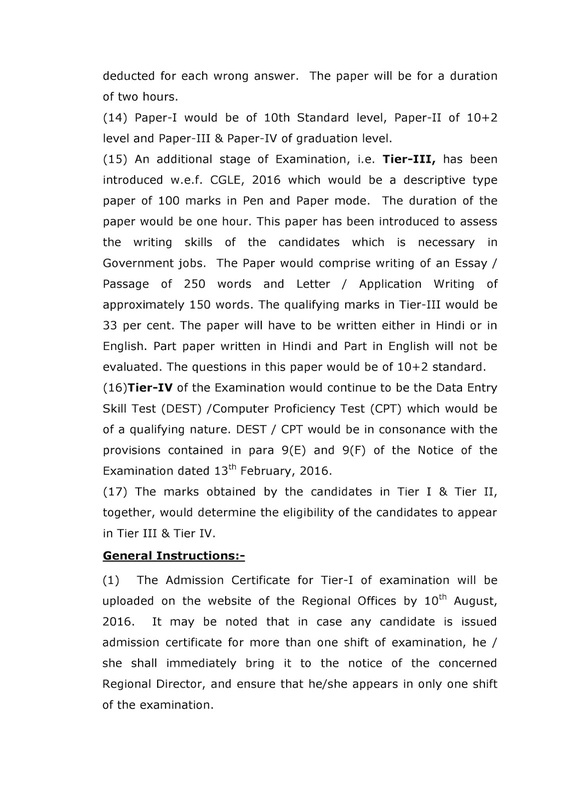 This paper has been introduced to assess the writing skills of the candidates which is necessary in Government jobs. The Paper would comprise writing of an Essay / Passage of 250 words and Letter / Application Writing of approximately 150 words. The qualifying marks in Tier-III would be 33 per cent. The paper will have to be written either in Hindi or in English. 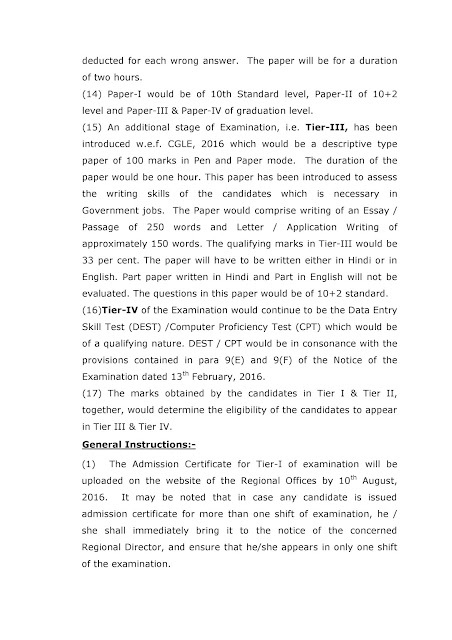 Part paper written in Hindi and Part in English will not be evaluated. 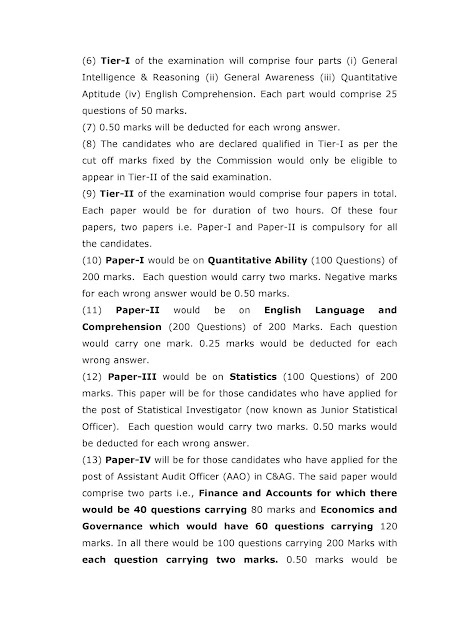 The questions in this paper would be of 10+2 standard. 3) Prelims Admit Cards will be uploaded by 10th August in regional websites. 4) If any candidate appears at more than 1 shift, his/her candidature will be cancelled and he/she would be debarred for a period of three years. 7) Tier 2 on Novenmber 2016, Tier 3 on January 2016, and Final result on last week of April 2016.